The Best Handyman Company serving around Denver, CO metropolitan area. 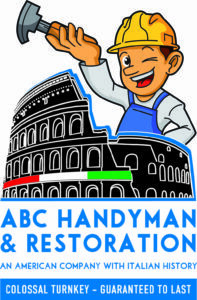 ABC Handyman & Restoration ! Whether you need to install floors, windows, walls, doors. We put them up. We tear them down. Those minor repairs around your home that you don’t have the time for, we will glady do for you. An American Company with Italian History - more than 25 years experience. Commercial and Residential. We’re here to help you, we’re sure you’ll be happy working with us. We are specialist for tiling and painting, renovations, home repairs, design and build, consulting and management, hardwood flooring. Floor tile replacement, ceramic wall & quarry tile replacement, painting inside & outside, drywall repairs, repair/replacing display fixtures (shelving and storage racks). ABC Handyman and Restoration is a repair-driven, full-service handyman company, based in Aurora, serving Denver metro area. Home repairs, commercial repairs specializing in all kind of projects: kitchens, bathrooms, basements etc. Flooring is our specialty. 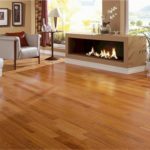 We are focused on providing sanding, refinishing, repairs, quality works and staining floor services with the highest levels of customer satisfaction. An American Company with Italian History. Founded out of a necessity to improve make subtle changes and organize my home on an honest budget. 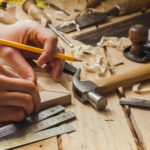 ABC Handyman and Restoration, with 25 years of experience, has grown to offer repair services to others seeking the same value and integrity in Denver, Colorado. We will do everything we can to meet your expectations. 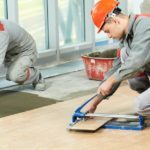 Whether you need to install floors, windows, walls, doors. We put them up. We tear them down. Those minor repairs around your home that you don’t have the time for, we will glady do for you. We’re here to help you repair and beautify everything from your home to your business. With a variety of offerings to choose from, we’re sure, with our reasonable prices you’ll be happy working with us.